After indulging over the holidays, we have been focusing on lighter suppers. 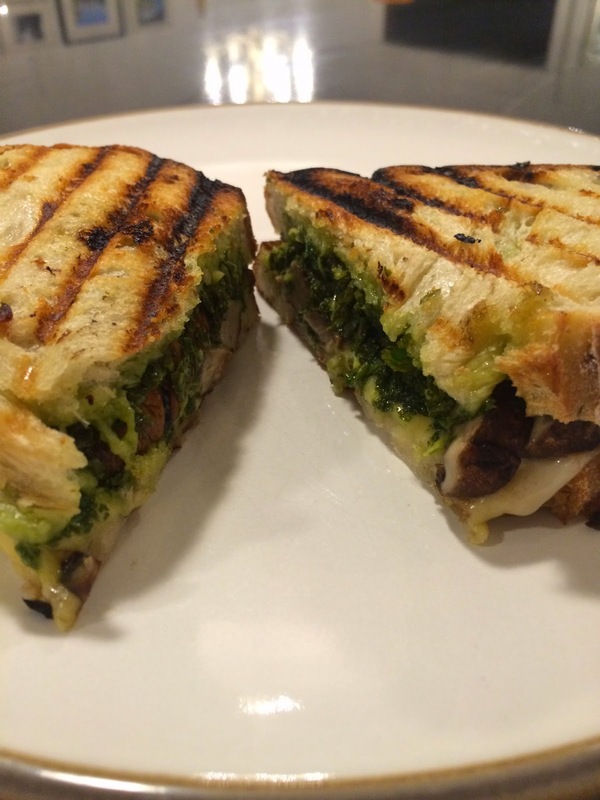 I like eating a few meatless meals a week, and nothing is better to me than a grilled cheese. This version kicks it up several notches, so although it is just a sandwich for supper, it is still a special meal. 8 slices sturdy bread, like French, ciabatta, etc. 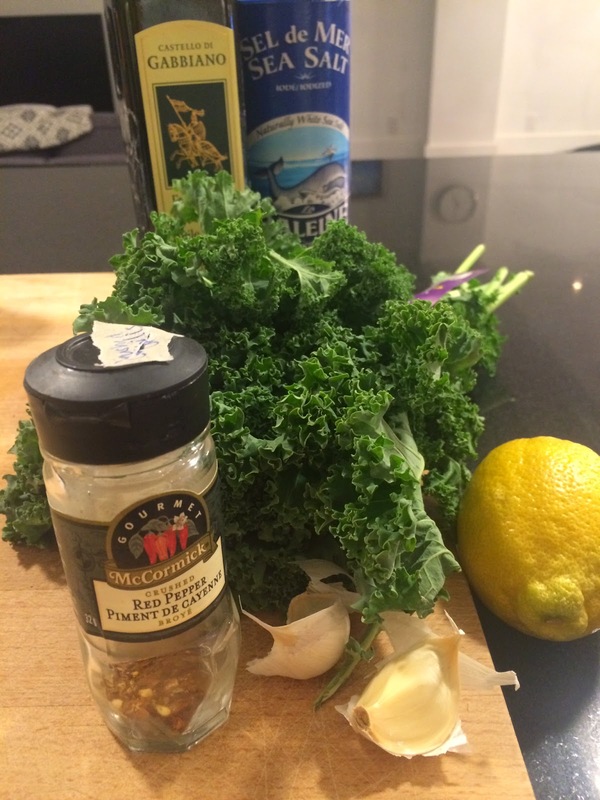 Place kale, garlic, lemon juice and chili pepper flakes in a food processor or blender. 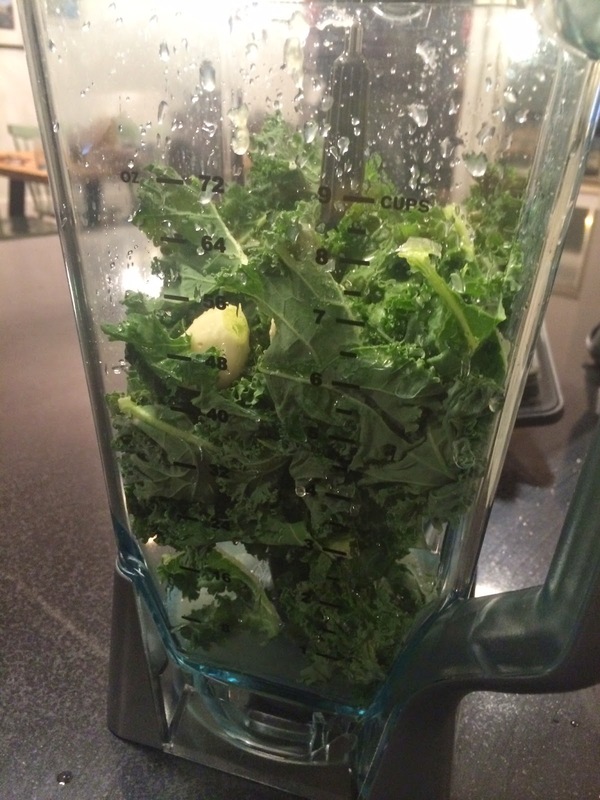 Blend until smooth, drizzle oil in as you keep blending. 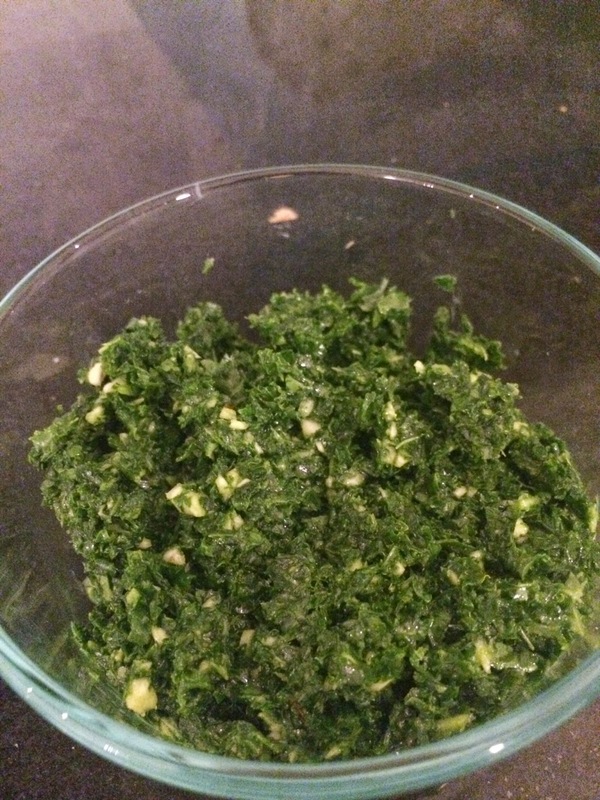 Season with sea salt to taste. 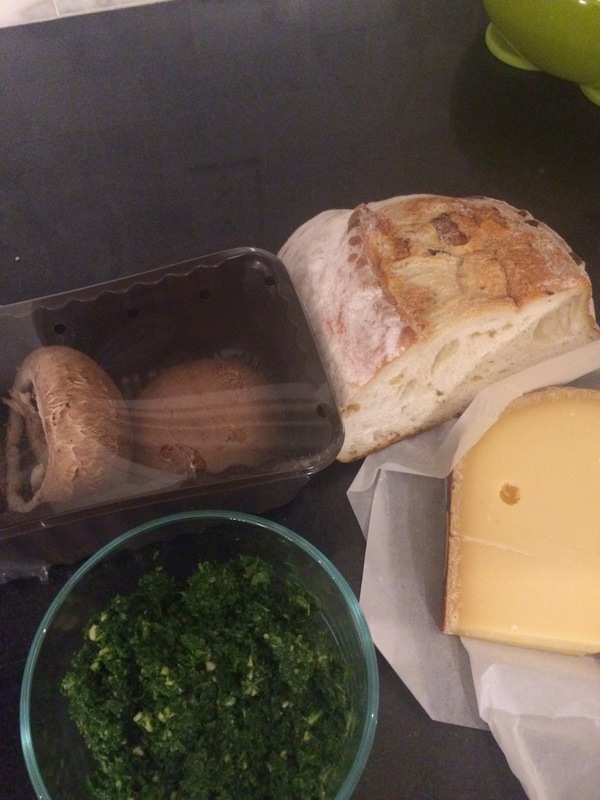 Spread the kale mixture on the bread, top with sliced mushrooms and cheese. Cover with other slice of bread (repeat for all of the sandwiches). Generously brush the bread with oil. Grill until cheese is melted. Yum! Looks tasty and healthy!